Our polling has found that consumers do not believe energy price freezes are good enough, with over two thirds saying that the energy companies are announcing them for tactical reasons. 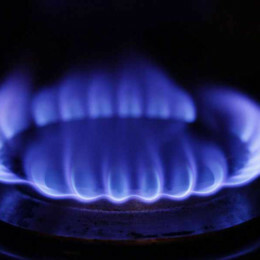 - Two thirds (65%) do not trust energy companies to deliver on a price freeze. - A majority (57%) say that a price freeze just keeps prices high and energy prices need to come down. Since 2005 the average annual dual fuel (gas and electricity) bill from the Big Six has more than doubled from under £600 to over £1,200 (Consumer Futures, Jan 2014), with profits for energy providers soaring. Between 2009 and 2012 the Big Six's profits from supplying households have more than quadrupled, rising by £1 billion (Ofgem, Nov 2013). "After years of price rises and runaway profits it's no wonder that the public sees price freezes by the Big Six for what they are: a cynical ploy to make themselves look good while keeping their profits soaring. "People need and want price cuts not price freezes. ThisIsTheBigDeal.com brings people together to harness their power in numbers and demand cheaper energy bills." The Big Deal is a national campaign for cheaper energy bills. It brings people together to harness their collective buying power to deliver lower bills. People can sign up at www.thisisthebigdeal.com or over the phone on 0333 222 5871 (standard rate). It's free to sign up, takes less than a minute and there is no obligation. 10,000 have signed up in just six weeks.